When people think ‘software’, they often think of companies like Google or Microsoft. Even though ASML is classified as a hardware company, we in fact have one of the world´s largest and most pioneering C# communities. The ASML C# environment is extremely attractive for prospective C# engineers because it, combines machine software development with the challenge to exceed what is physical possible. From steering hardware on a nanometer level, to developing algorithms to calculate the behavior of light and UI development. The possibilities are endless. At ASML, our C# teams create and implement software designs that run in the most modern semiconductor fabs in the world, helping our customers like Samsung, Intel and TSMC make computer chips faster, smaller, and more efficiently. Here, we’re always pushing the boundaries of what is possible. We are always looking for talented C# developers who know how to apply the latest .NET C# technologies, to join the teams responsible for creating software for high volume manufacturing automation in semiconductor fabs. Could this be your next job? Apply now! Act as scrum team member. In order to contribute to the realization of new software functionality you will need to be able to assess, review, discuss and implement software designs. Actively seek interaction with your team members to review yours and others contributions to our software archive. You work closely with your peers: to create software solutions to decide on software implementation to participate in code, design and documentation reviews to perform pair programming and test driven developmentto test and integrate with the platformFrom a project management perspective close cooperation with the software team leader is required to provide him with effort estimates for software plan creation and updates for progress reporting. You will interact with your Software group leader for coaching and personal development. So, you’ve read the vacancy and are about to click the “apply for this job” button. That’s great! To make everything go as smoothly as possible, we would really appreciate it if you could take a look at the following tips from us. Although you have the option to upload your Linkedin profile during the application process, we would like to ask you to upload a detailed CV and a personalized cover letter. Adding your Linkedin, Github, or any other relevant profile in your CV is always a good idea! Before uploading your CV, can you please make sure that the following information is present:Short information about the company / sector/ domain / product.Context of the project (how big / complex were the projects / what were the goals).What was the size of the team / who was involved (think of developers, testers, architect, product owners, scrum master) / what was your role in the team.Which languages / tools / frameworks / versions (recent) were used during the project (full stack, server side, client side).In which projects an agile methodology was used.What were the results of the projects (as a team and individually) / your contribution and achievements. We make machines that make chips; the hearts of the devices that keep us informed, entertained and safe. Devices that improve our quality of life and help to tackle the world’s toughest problems. To push technology further and print microchip features that are finer, we are looking for the world's best software engineers. 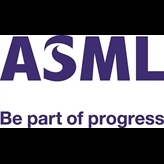 Want to get notified about new jobs at ASML?